Haselbury Mill is a unique venue in the heart of Somerset & Dorset, and is blessed with unmatched views, set in a tranquil lakeside, river and garden location all within 14 acres of glorious Somerset countryside as well as bordering Dorset and Devon. the perfect venue for any occasion, from a traditional country wedding, to a conference, to a romantic evening out with your loved one. From a discreet celebrations to a 500-guest function. Haselbury Mill has the complete answer for your wedding.If you are contemplating tying the knot, our civil ceremony licence enables you to be married in our spectacular lakeside room overlooking the lake or alternatively within the splendour of our new “Great Tithe Barn” – an experienced never to be forgotten. 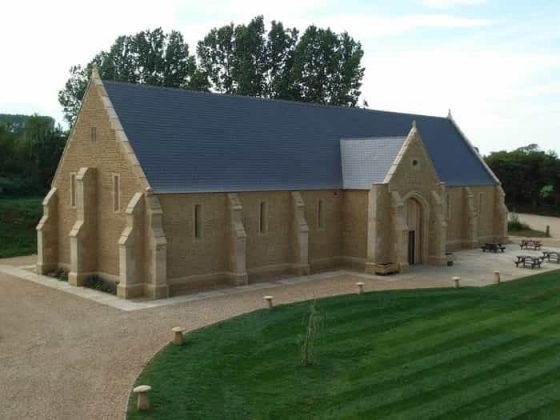 We can offer several alternatives within this beautiful range of facilities, all brimming over with fascinating & attractive features, to ensure that your special day is exactly as you dreamed it would be. 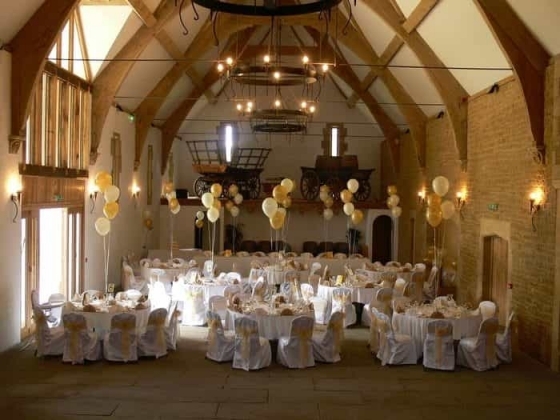 Whether you decide on a single celebration meal in the galleried restaurant overlooked by two balconies, or a wedding breakfast in the Tithe Barn followed by either an evening buffet or Hog Roast you are guaranteed a day in breathtaking scenery and one which will last in the memory of yourselves and your guests for years to come. Set in the heart of the Old Mill is our A la Carte Restaurant. 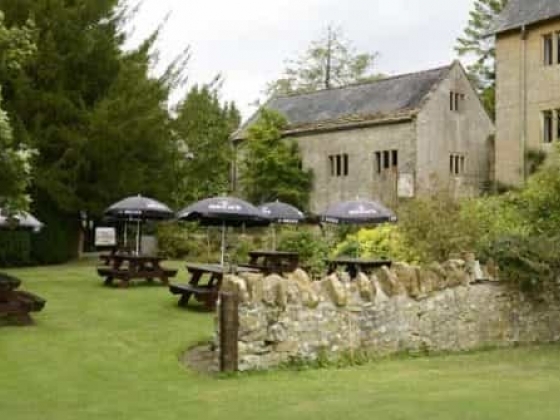 An elegant, yet friendly dining experience situated in a warm and welcoming 17th Century Mill - with a lovely mixture of contemporary & antique features. Family friendly, fully accessible and with dog friendly dining areas. We are pleased to cater for all dietary requirements. Our menus move around the seasons changing daily to best reflect what is fresh and good in the market place, I only use local meat from Somerset, our beef is from Bob Hall, Ramp Farm near Taunton, and our pork from Sandford organic Farm near Wellington. All our fish comes from Lyme & West Bay and we only buy from day boats, never deep sea trawlers. Our shellfish is from Exmouth, the mussels in our opinion are better than the Scottish green lipped variety.Our game, ducks, specialist food items & local cheeses come from all local suppliers. It is our aim to ensure that all our food comes from within a twenty mile radius of Haselbury as Somerset has some of the finest food producers any where in Britain today. Algarve Wedding Planners & Lisbon Weddings Algarve Wedding Planners are one of the first professional wedding planners on the Algarve, formed by Paula Grade and Karina Sousa. LA POSTA VECCHIA HOTEL is an elegant five star luxury hotel offering 19 rooms and suites, a heated-indoor pool, a Health & Beauty Club, and a gourmet restaurant, The Cesar.